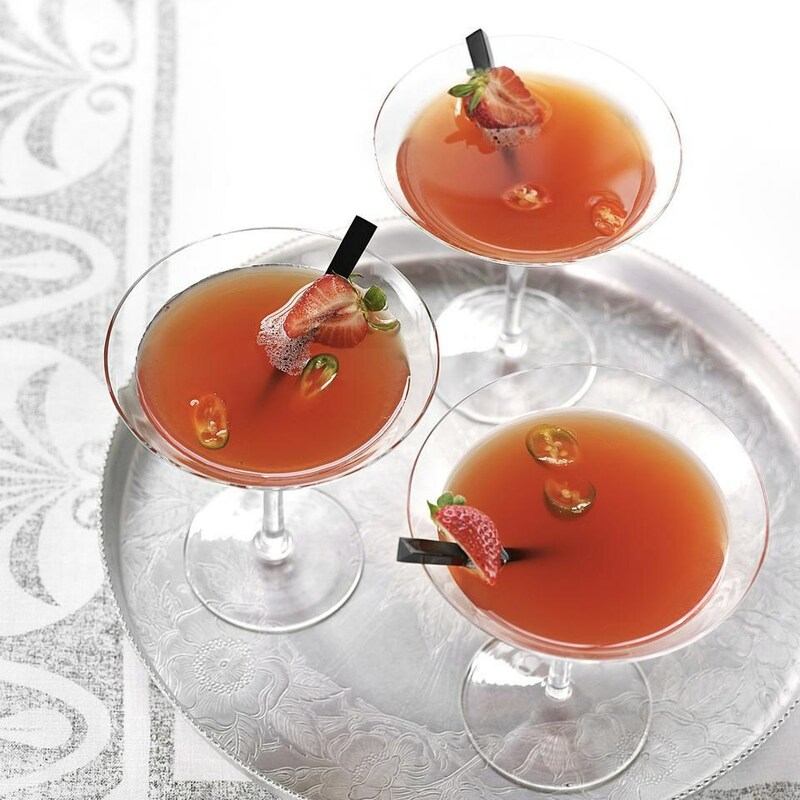 This beautiful strawberry martini cocktail recipe is an irresistible combination of sweet and spicy. 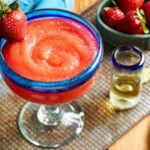 Strawberries vary in sweetness and jalapeño chiles vary in heat, so once you've made this cocktail, take a sip and adjust to your taste. 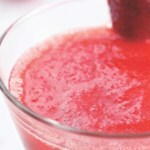 Using a "muddling" stick or small wooden spoon, mash strawberries, jalapeno and lime in a cocktail shaker until the berries are broken down. 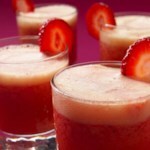 Add liquor, Grand Marnier and agave (or simple syrup). Fill the shaker with ice; shake well. Taste and add more jalapeno and/or agave, if desired. Strain into 2 martini glasses. 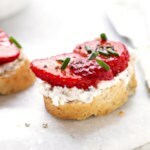 Garnish with a strawberry and a jalapeno slice.